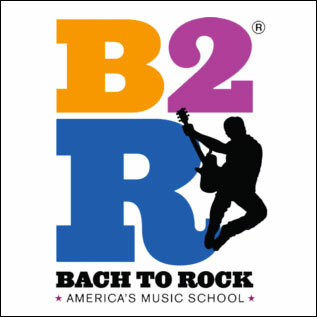 Bach to Rock (B2R), America’s Music School for students of all ages, announced today that its first franchise school in Port Washington, N.Y. has been a hit in the local community as more than 250 children and adults have signed up for lessons since it opened in January 2013. Franchisee Amplified Capital Partners, LLC (ACP) plans to open several additional locations in New York and Connecticut over the next three years, targeting Nassau, Suffolk, Westchester and Fairfield counties. “Our first Bach to Rock school in Port Washington has experienced phenomenal success, exceeding our expectations. This is accelerating our expansion plans, so we’re aiming to open two additional schools in 2014,” said Glenn Fleischman, co-founder and Managing Partner of ACP. “There’s a strong demand for what we offer, especially as local school districts continue to cut their arts budgets and reduce or eliminate their music programs. We want to keep growing the chain in New York and Connecticut well beyond the six schools we initially plan to open,” added Alan Goodstadt, co-founder and Managing Partner of ACP. Feedback from the Port Washington community and surrounding areas led the franchisees to develop a new music program for children with special needs that includes both music therapy and adaptive music lessons — the only Bach to Rock school in the country to offer such a program. Led by a Board-Certified Music Therapist, the program is aimed at helping children by using music to improve communication, social interaction and cognitive skills. The program already has 20 students enrolled. 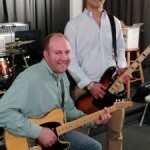 Bach to Rock Port Washington offers a variety of individual lessons and group ensembles such as Glee Club, Rock Band and Early Childhood classes. The school also hosts open jam nights once a month for adults, with participants ranging from local amateur basement players and shower singers to professionals. Registration is still open for the school’s weeklong summer camps. Visit www.b2rmusic.com/camps for more information. In 2012, Inc. magazine named Bach to Rock as one of the fastest-growing private companies in America for the second consecutive year and the Washington Business Journal named it the number one company to watch in 2012. Washington Family Magazine readers also voted it Best Music Instruction winner for 2012. B2R transforms music instruction into a team sport by coupling rigorous individual instruction with band formations that keep students motivated by playing in a group. To date, there are six corporate-owned schools located in Maryland and Virgina, as well as one franchise-owned school in Port Washington, N.Y. The second franchise-owned school is slated to open in Wayne, Pa. in July 2013. The brand recently announced a new franchise agreement to expand its footprint in California. Expected to open in Winter 2013, the new school will be located in Sacramento and will be the first Bach to Rock on the West Coast. To learn more, visit www.b2rmusic.com. Bach to Rock (B2R) is a music education school for students of all ages from early childhood through high school and beyond. Learning music should be fun and students learn best when they play music they enjoy. Weekly ensemble instruction and band formations lead to public concerts, Battle of the Bands and recording sessions in B2R’s professional recording studios. B2R builds technique, fosters teamwork and enhances self-esteem through private lessons, band instruction, and public performance. To date, there are seven B2R schools currently located in Maryland in Bethesda and Gaithersburg, Virginia in McLean, Herndon, South Riding and Lansdowne, and in New York in Port Washington. A second franchised-owned school is slated to open in Wayne, PA in July 2013. For more information, visit www.b2rmusic.com. Amplified Capital Partners (ACP) is an investment and operating company that focuses on opportunities in early-stage education, digital media, technology and telecommunications services. With a management team that possesses a unique combination of entrepreneurial, investment banking and operations expertise, Amplified Capital Partners is able to bring both capital and value-added executive management resources to promising high-growth companies. ACP currently runs a growing Bach To Rock music school franchise and is reviewing new opportunities regularly. For more information visit www.amplifiedcapitalpartners.com.